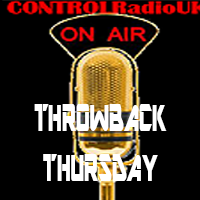 Hello and welcome to the next Chapter in our Throwback Thursday series. We've traveled through 80's Pop/Rock/RnB/Reggae/Dance. Now we're having a stop-over in the 90's. It was a glorious 10 years for fashion, technology & of course music. Some songs changed the landscape of music forever whilst some were unfortunate one-hit wonders & for the next 4 weeks we'll be bringing you 5 great songs. CONTROLRadioUK Thoughts: Ok so I first heard this song during the masterpiece that was Baz Luhrmann's Romeo + Juliet (and I thank that version for getting me through a rather hard English Literature paper) The song reached #21 on the UK Chart & #1 on the US. It's since been used in a number of shows/movies, as well as the odd cover over the years. This song isn't out of this world spectacular, but some of the best songs just need a good beat & a great chorus - and this ticks both boxes. CONTROLRadioUK Thoughts: Ok so 6 year old me found this video very scary because 6 year old me found everything scary, but this song is a belter. It hit #1 on the UK Chart & #30 in the US, which I don't think is too bad. In defense of my 6 year old self, some channels refused to show this video before the watershed because Ketih Flints appearance & the stark black + white were considered quite scary. Bearing in mind this is the same era that deemed 'The Lion King' & 'Bambi' to be suitable kids films. If they were released in this dag & age they'd probably be given a 15 rating but no! All we got was a lousy little sticker on the bottom of the video to suggest we watch with parents as some scenes may be a bit much for us. I did not go into a cute & cuddly children's movies to be greeted by THOSE death scenes (which I still can't watch). Where 'Firestarter' is concerned, the music is what makes this song as great as it is. Such glorious, bonkers, 90's rave music we all enjoyed dancing along to even if we ran a mile from the video. CONTROLRadioUK Thoughts: I have been looking forward to writing about this song for weeks. I've mentioned before the 90's was great for songs with an indirect adult nature our young heads didn't grasp. This song is my absolute favorite example of that. After hearing the song on the radio and catching it on TV before it got turned over, we'd get the lyrics in our head and sing along randomly at school. This freaked the hell out of our Teacher's. Why? Because unbeknownst to our darling, innocent ears, there is an uncensored version of this song which a quick Internet search can take you to. As a 6 year old we had no absolutely no idea of this, and thought it was a nice, cute sing-along. Oh how wrong we were & of course we never understood the panic. This song was obviously altered for radio play & spent 10 weeks on the UK Chart, peeking at #8. But I will always love this song for freaking out my Teacher's, mum and being amongst the first explicit song my completely oblivious 6 year old self heard. CONTROLRadioUK Thoughts: Ok, I have never been a mega Peter Andre fan and this is mostly here because others at CONTROLRadioUK HQ are. Even if you're not a fan though, you know this song as soon as it plays, and you know the lyrics, singing along quietly so as not to alert other people to your shame. Considering it hit #2 on the UK Charts when it was first released, that's a shame quite a number of people are feeling with you, so don't judge your musical taste too much. In all honesty Peter Andre isn't the worst person I've ever listened to, and I have liked listening to some of his more recent songs. But apparently these Throwback Specials & indeed 5 Picks aren't all about praising my musical catalogue. Nope, I have to ask other people what their favorite songs are and then spend hours rooting through for a semi-decent song. So. Much. Fun. CONTROLRadioUK Thoughts: Jagged Little Pills is one of the best albums of all times. My favorite song by Alanis is 'You Oughta Know', but 'Ironic' is more iconic. It hit #4 on the US Chart, #1 in Canada & #11 in the UK. The music video's iconic. The lyrics are iconic. The music's brilliant. It's one of those rare songs that connects with you regardless of your music taste. 'A death row pardon two minutes too late' 'rain on your wedding day' 'free ride when you've already paid' 'good advice you just didn't take'? Every lyric in this song is fault free & genius and the song never bores you. No, it lures you in with a nice soft start before attacking you in the chorus and by the end, you're singing and dancing along. Even more fantastic? When this song first came out there was an uproar of people saying 'ironic' was used improperly in the song. Even the Oxford English Dictionary got involved! So the next time someone comes at you with Political Correctness, or accuses you of using a word incorrectly? Remember the great 'ironic' debate.